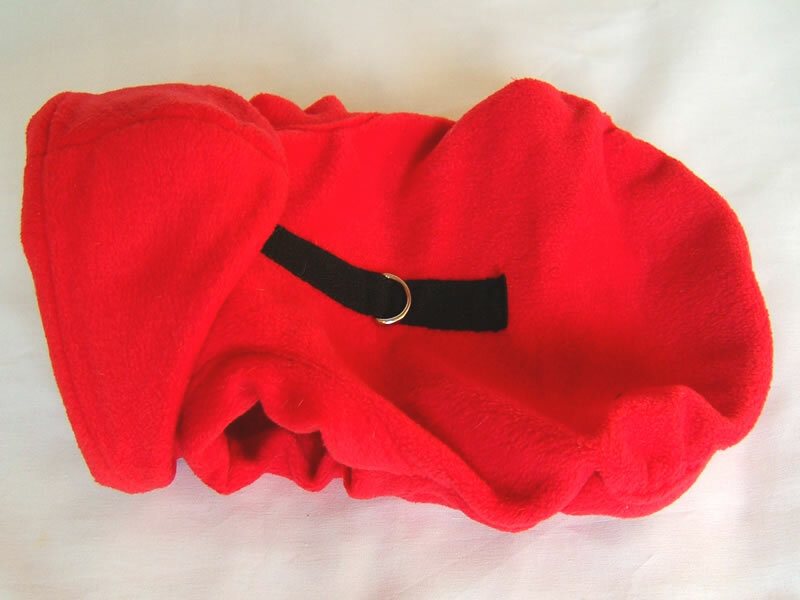 This red fleece hoodie is made out of high quality fleece that would keep your baby warm while walking outdoor. The use of secure D-Ring at the back means you can easily attach the leash so that your dog can feel free to walk, run and jump without hurting his back. Use of double Velcro makes it easy to take it off and on. We offer Free UK Delivery on all items. Standard delivery is between 5 - 10 working days. 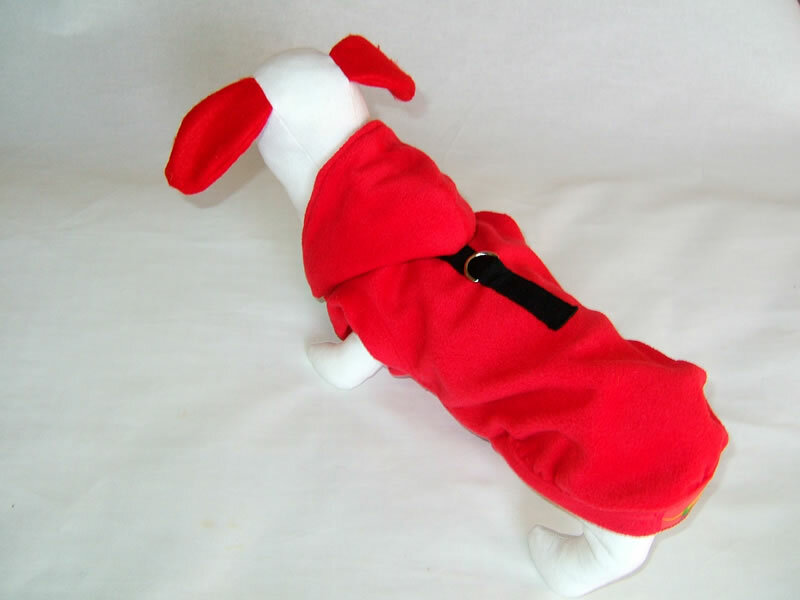 "Our size chart is only a guide as we know that every dog is different in size, posture and length specially Dachshunds; we therefore recommend you email us the exact measurements of the neck, chest and length if you want a perfect bespoke outfit for your dog." You can include your measurements with your order in the section named "instructions for merchant". For guidance on how to measure your dog please refer to the diagram shown on the right. Please make sure you measure the widest part of the chest which is right behind the back leg. Not sure on which size of Harness or Coat? Don't forget, we take order for all size dogs, if you cannot find your size, just send us your measurement and we will make it for you.